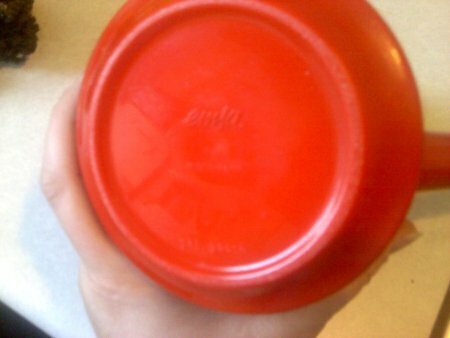 Nor did any have their original maker tag with instructions for use. Rose was quite the inventor and a member on the board of directors for the Ayr Farmers Elevator. 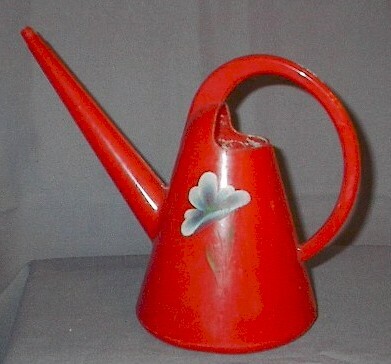 This one was purchased at that Bonanzaville museum auction this past Fall. It is now available for purchase; available in our space at Exit 55 Antiques located on I-94 in Fergus Falls, MN. (The shop’s Facebook Page is here; our personal sales page at Facebook is here.) Also, more photos and information regarding what we have for sale right now can be seen at We Have Your Collectibles. It’s rather rare to find these antique seed planters in such good condition — on this one, you scan still make out the original stenciled information. 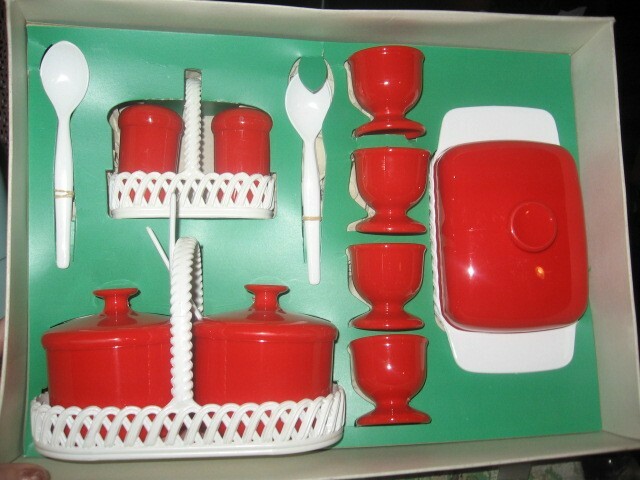 This one is marked “The Triumph” and it was manufactured by Kent Manufacturing Company of Fort Atkinson, Wisconsin. 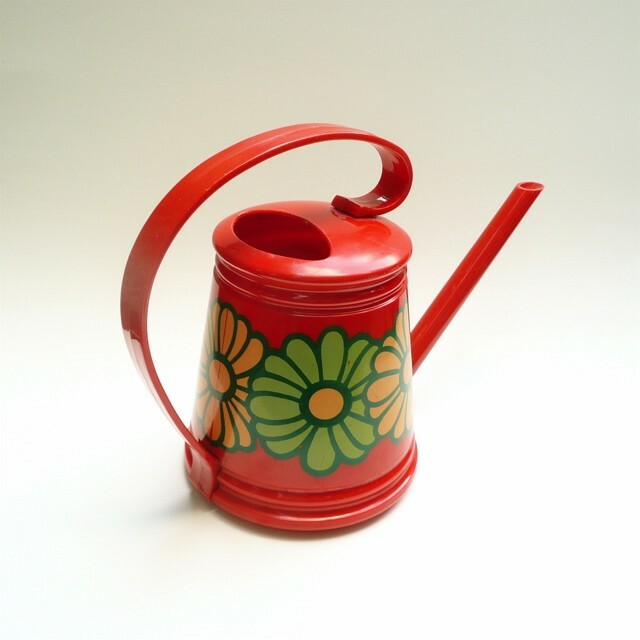 These simple seed planters were quite revolutionary in their time. And they still work today! They are simple to use. 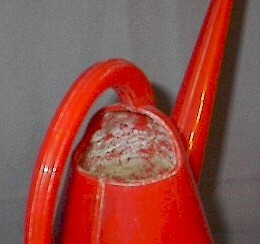 Simply stab the end into the ground and when you open the handles, the end “shovels” open a section of earth as a single seed drops into the freshly made hole. We know this seed planter was made prior to 1912, as that’s when the company changed its name to the James Manufacturing Company, using the “James Way” slogan. Image of the antique ad from ADS AG N MORE. I found this idea for novelty planters at The Daily Telecraft: Brainstorm: What to do with plastic animals! 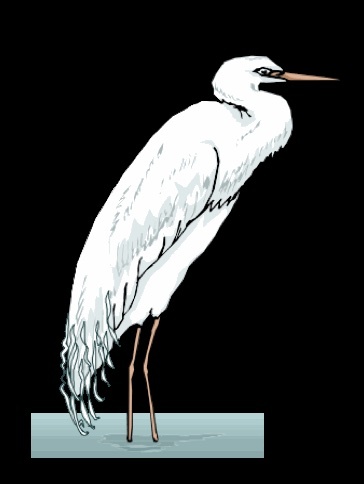 [Large & small]. Just Dremel out a section on the beast’s back, spray paint them, fill them with dirt and add a small plant or cactus. 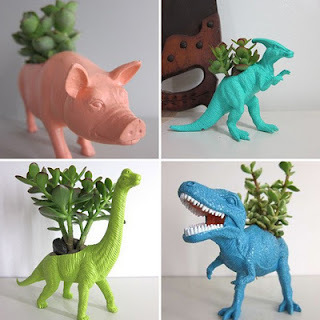 It’s a great way to recycle those plastic animal toys the kids have left behind as well as to fill-out a windowsill or other spot with groupings of vintage animal planters. 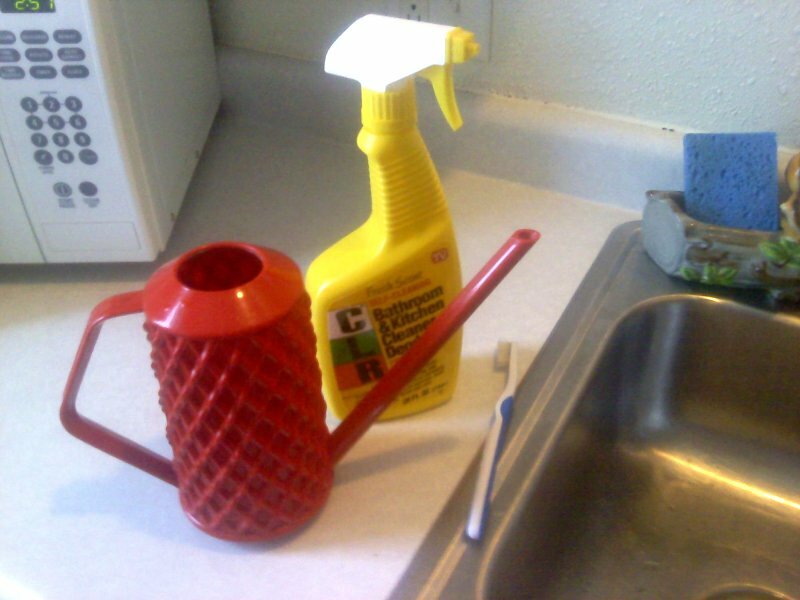 If you have a green thumb but are all butter-fingers with a Dremel, here are some planters ready to purchase! But, sometimes, those drummers are a matching pair. 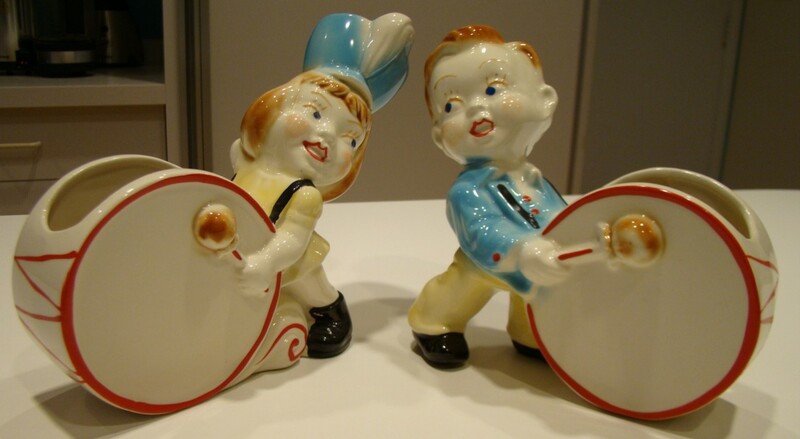 *wink* A fabulous vintage kitschy pair of planters, a drummer boy and a Majorette girl, illustrate my point! Image credits: Pigtunia’s Plunder . 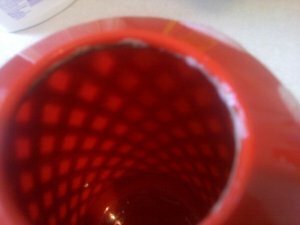 Laundry Fun — Go Figure! Absolutely adorable family of vintage Rogers Clean-Grip clothes pins — with little heads and faces of each family member, including the family dog and cat. The vintage plastic clothes pins were called “Clean-Grip” because the plastic did not stain, discolor, or soil the wet laundry like wooden and/or metal clothespins can. Plastic clothespins don’t splinter either. 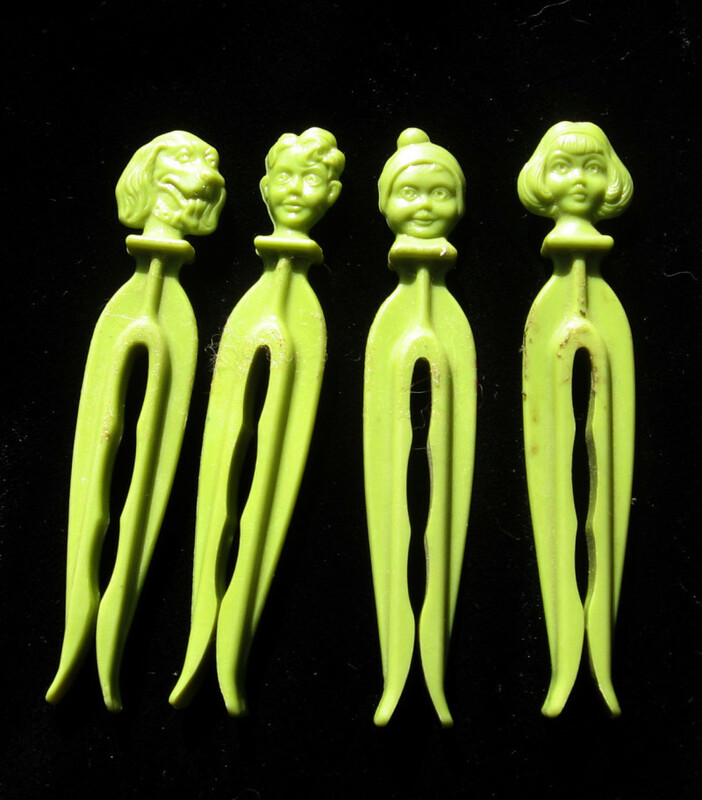 But of course the best things about these vintage clothespins are their figural heads of humans and pets. 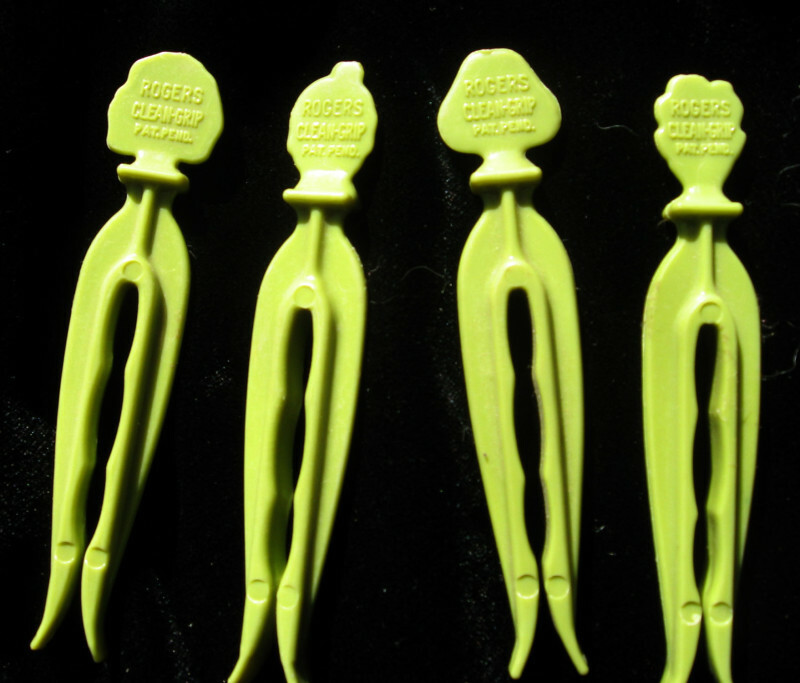 Vintage green clothespin photos (2) via shelbysfeet27 . 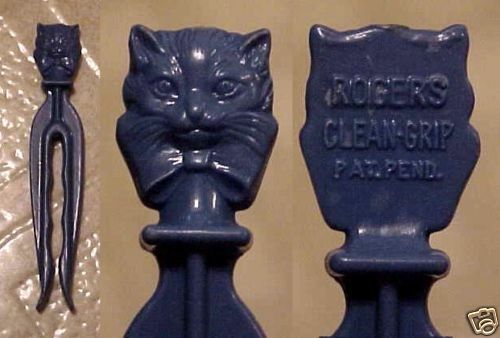 Vintage blue plastic kitty head clothespin photo via AfterGlow-Antiques-and-Collectables. 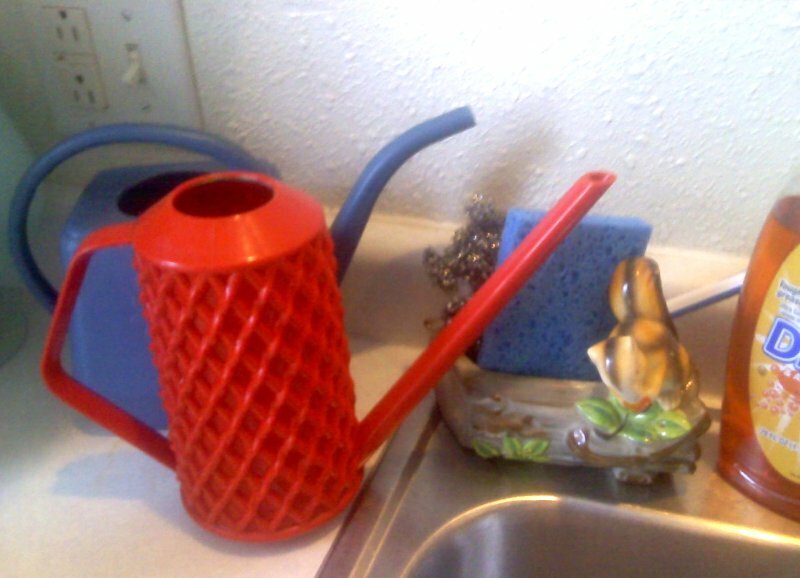 Posted on February 5, 2010 Author DeannaCategories Porch & GardenTags cats and kittens, clothespins, collectibles, dogs and puppies, figural, vintageLeave a comment on Laundry Fun — Go Figure!